Another beautiful day at Towering Pines Camp for boys! Competitions are heating up and so is the weather. It’s that time of the season when the sun really beats down on us mortals. This means several things: proper hydration is key, little challenges seem bigger, and the eagles ride some serious updrafts over the assembly area looking for fish in the lake. 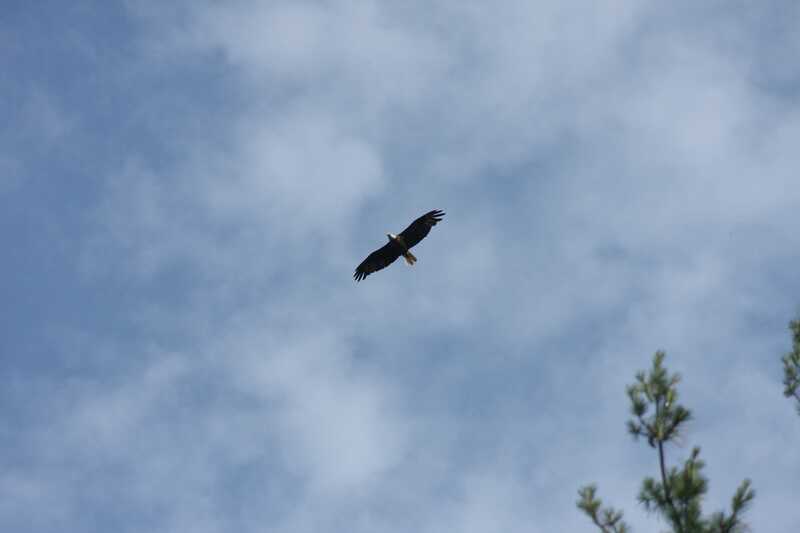 We’ve been enjoying lots of bald eagle and osprey sightings lately! Today I witnessed the two clashing over prime waterfront territory in an awesome display of aerial combat over Cabin 8. It looked like the eagle was sitting in a tree that the osprey had claimed already. The osprey, being smaller and lighter made some strikes from above, prompting some interesting back-flips and brandishing of talons on the eagle’s part! The raptors aren’t the only ones feeling competitive. Our boys in sailrace have been enjoying a new Towering Pines tradition: The Dread Pirate Regatta! 1) Most normal racing rules apply,except when modified by the Dread rules. 2) Each boat tries to round as many buoys as possible in the allotted time. 3) buoys can’t be rounded more than once in a row. 4) The winning boat is that with the most points. That’s it in a nutshell! The winner is issued a new Dread Pirate nickname by committee and entered into the annals of history as part of the Dread Pirate Brotherhood! The boys are all about it and fight fiercely to earn their own title, but only one can prevail! Last week’s winner was non-other than Michael P., who shall henceforth be called by his pirate name: Peach Fuzzybeard (at least till he wins his next Dread Pirate Regatta…). 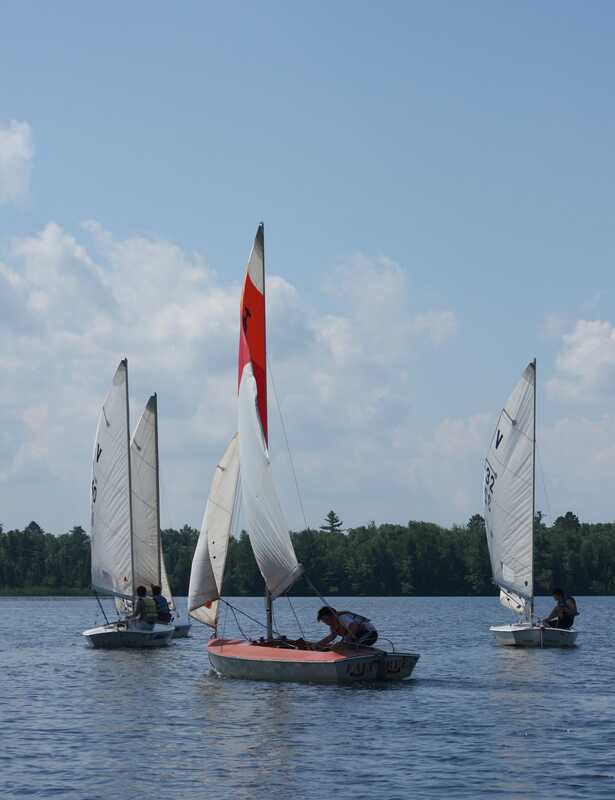 Today, we had our second Dread regatta, with a full five boats racing. Each sailrace member piloted his own vessel and plotted his own course, yarr! This week’s winner was Ryan B. with a total of five successfully ratified points! His Dread name is yet to be determined, but I’ll be sure to let you know when it’s decided. Well, that’s it for today! Tune in again soon for more nautical nonsense.